AND PLEASE DO NOT SPREAD STUPID NEWS EVERYWHERE TO GAIN CHEAP ATTENTION. Nowadays people are so damn free for stupid things?! Anyway, today another beauty product would like to share in here. This product is the first and a must to every girl no matter you're newbie or professional. This is the best way to enhance the window of your soul. Yes!! I'm talking about eyeliner. 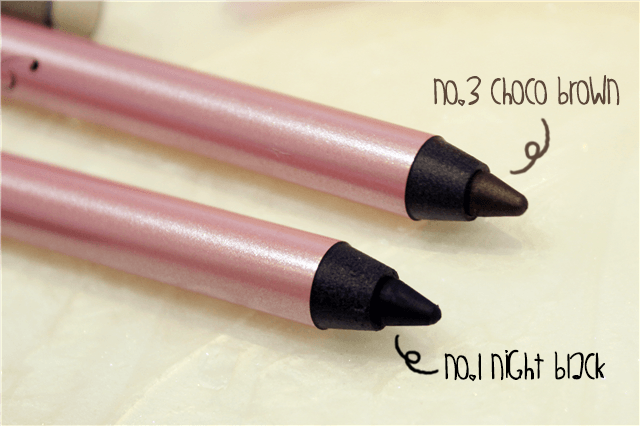 There's have four colors available in Miss Hana Water Proof Gel Eyeliner. 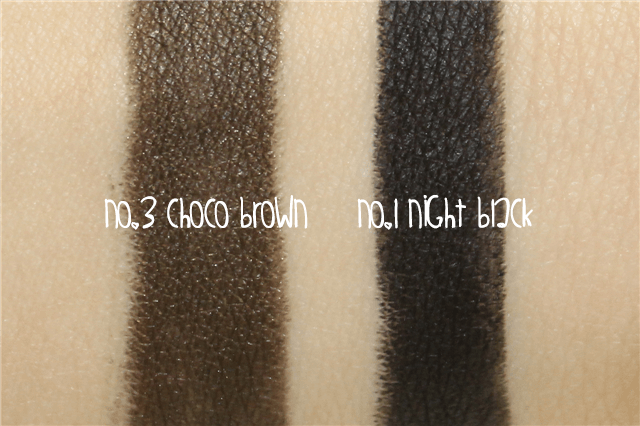 In this post, I am going to review two colors which are No.1 Night Black and No.3 Choco Brown. I believe most of you girls have a bad experienced of using eyeliner and the most common problem that everyone hate is SMUDGE especially if you're living in humid country or in summer time unless you're going to gothic and punk style. If you're still looking for a good pencil liner, this post could be informative to you. 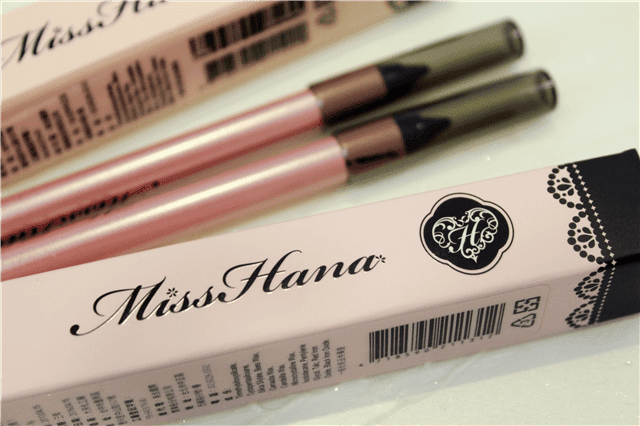 Introducing Miss Hana Water Proof Gel Eyeliner that are waterproof, oil-proof and concentrated color performing. - Gelatinous texture characteristics of the ◎ plastic pen type, stroke smooth, the texture of moderate hardness, ductility, pen design easy to use easy to draw. Perfect to fill the liner at the accurate fast draw a variety of eye type, make the eyes more attractive. At first, I have nothing much expect with pencil type of eyeliner because my main prefer was always in liquid type and the other reason I hate product end-up smudge especially under humid afternoon. 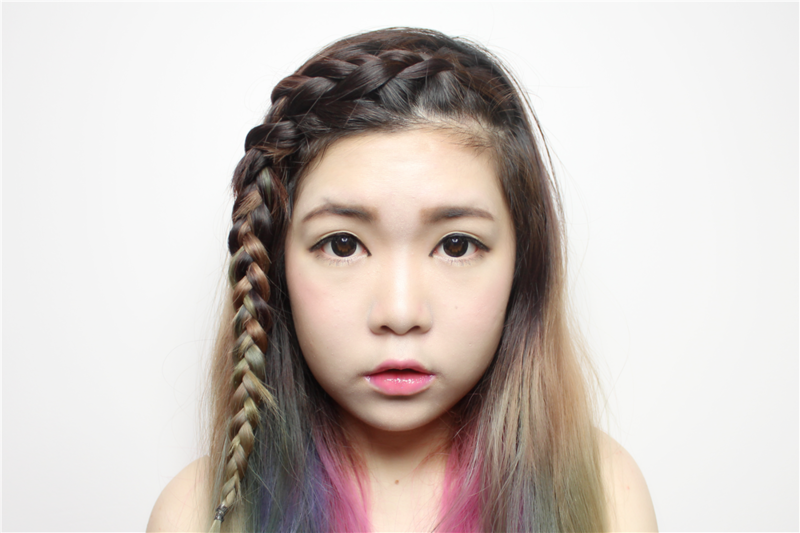 Honestly, Miss Hana Waterproof Gel Eyeliner changes my mind. No lie! It's is smooth and easy when applying and the turnout with a great color consistency with only one swatch. 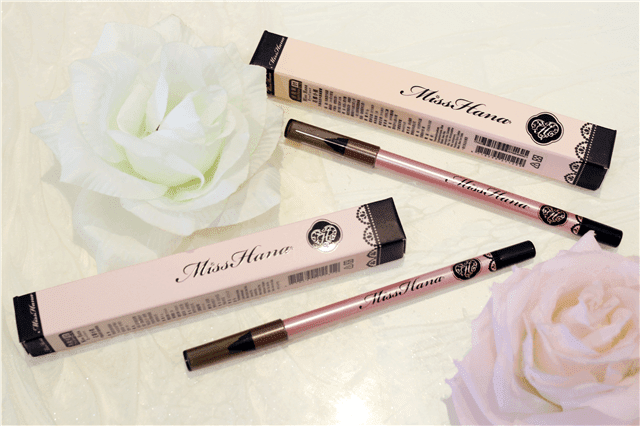 Then I tried and tested this eyeliner by wearing Miss Hana Water Proof Gel Eyeliner in No.3 Choco Brown whole day long and surprising it does not smudge stayed perfectly yet even bare to feels sticky and greasy on my eyelid. 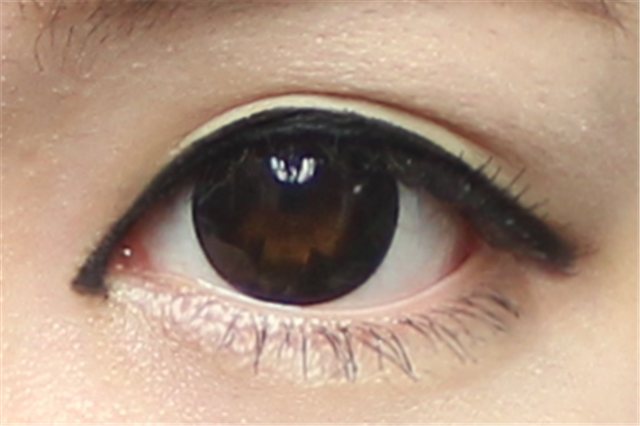 Besides that, this eyeliner is waterproof and oil-proof which I think it's really perfect for Malaysia. Highly recommended for those who have oily or inner single eyelid people. The price is cheap and the quality actually is way more better than others. A good news to share, if you're keen to buy this product, here's a great deal for you! this coupon expiry date will be on May 15th, 2014.
means you can purchase this product under RM20! babe do you wear eye primer before the eyeliner? 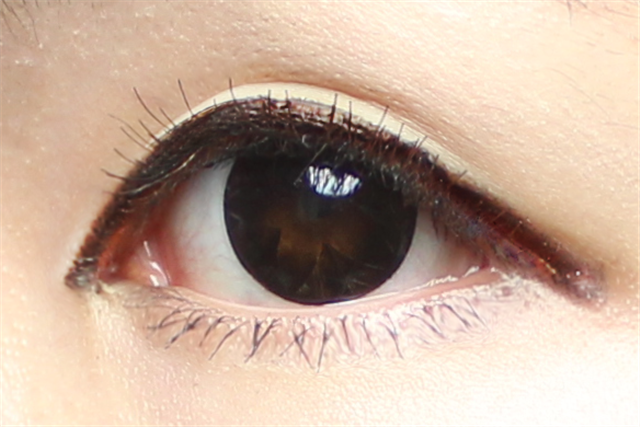 i have oily eyelids and this liner transfers after a few hours onto the crease of my eyes coz i dont wear primer.